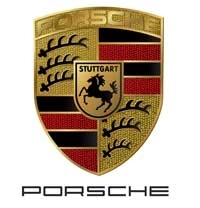 ATLANTA -- When Porsche's $100 million North American headquarters opens here in 2014, dealers will have another tool to close a sale or reward a loyal customer. The headquarters project includes a test track and a customer experience center that dealers are invited to tap. They can book time for individual customers or they can reserve the center for a day and bring in a group, said Detlev von Platen, CEO of Porsche Cars North America. "We are asking our dealers to invest, and we are doing the same -- and making sure that we keep our brand a little bit different in the way we are experiencing the products," von Platen said on Tuesday after a groundbreaking ceremony for the headquarters project. "The dealers are very integrated." About 80 percent of the U.S. population is within a two-hour flight of Atlanta, von Platen said. Porsche's new headquarters is adjacent to Hartsfield-Jackson Atlanta International Airport, the world's busiest airport. It is on the site of a razed Ford Motor Co. plant that closed in 2006. Porsche executives expect as many as 20,000 visitors annually at the customer experience center and test track. As many as 15 percent of those visitors could be arranged through dealerships, said James Taylor, the center's manager. Visiting the Atlanta center could be a reward for loyal Porsche buyers or it could help a dealer close a sale with a customer who is on the fence, officials said. Customers could take delivery of a new vehicle in Atlanta and drive it on the track. The center also will include a museum, restaurant, simulators, conference center and a classic car restoration center. "It's kind of an open place for getting the brand experience to our customers, and to our dealers," von Platen said. Porsche intends to build a larger test track in Los Angeles for customers on the West Coast. The center presents an opportunity for dealers, said Stephen Hennessy, a co-owner of Hennessy Automobile Cos., which operates a metro Atlanta Porsche dealership. "We would love to see that," Hennessy said. "You could use it in a number of different ways. You could do recognition for employees. You could do recognition for great customers. You could do it even for charitable opportunities in your marketplace."